By Sia in Social Media. March 20, 2017 . Much like any social networking system, Instagram employs ads in order to generate revenue for the company. However, there are times where the ads can potentially flood your Instagram feed. Thankfully, there is a way to reduce the number, or even completely remove ads from your Instagram feed, and here’s how you can do it. 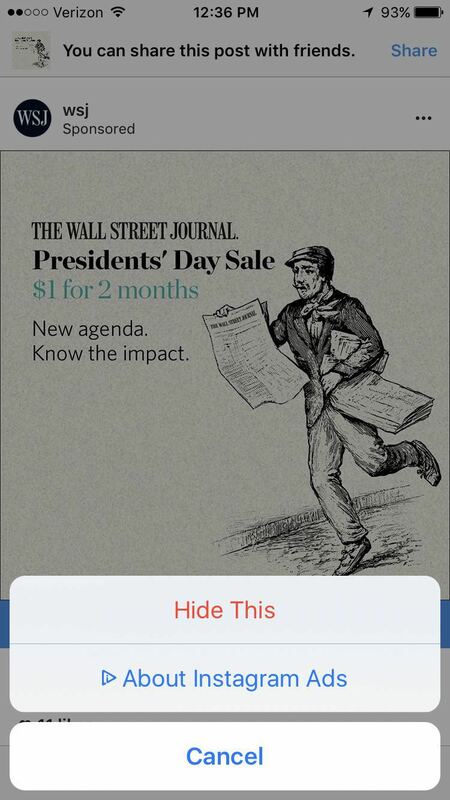 This technique was first discovered by the folks over at Mashable and it works by finding an ad, tapping on the "…" button, and then tapping on the "Hide This" option. Doing so will cause Instagram to ask you why you do not wish to see the ad in question. Now here comes the fun part. 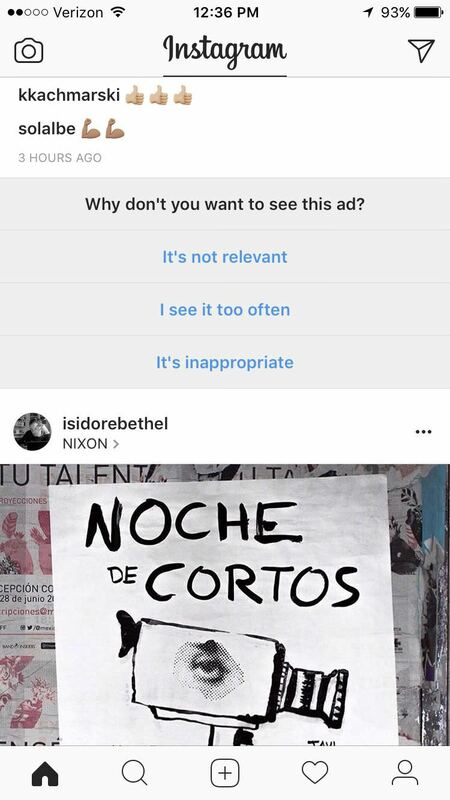 If you were to choose the "It’s not relevant" option or the "I see it too often" option, Instagram would merely replace those ads with different ones. However, if you were to choose the "It’s inappropriate" option, this would cause the ads to be removed completely. Once you’ve flagged enough ads as being "Inappropriate", it is possible to wind up with an ad-free Instagram feed. No one is quite sure why doing so would remove ads from your Instagram feed correctly, so it is entirely possible that the removal of all ads could be an oversight by Instagram. Be that as it may, this little bug could potentially be useful to those whose Instagram feeds are drowned in ads.